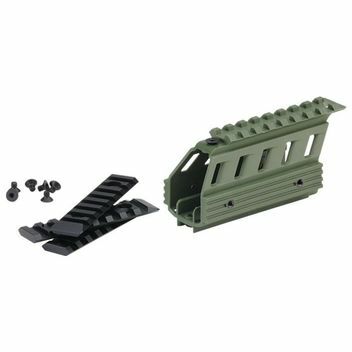 The DYE Modular Picatinny Shroud is another section of barrel shroud that allows you to create additional length to the factory DYE DAM paintball marker shroud. It is identical in length and design as the two factory sections shipped with every DAM. Just separate the shroud from the marker, add this section to the back and presto.... longer shroud to accomodate longer barrels or achieve different tactical styles. Question about "Dye DAM Shroud - olive drab"